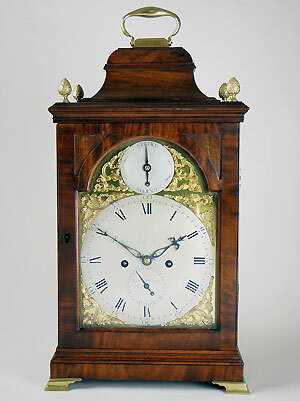 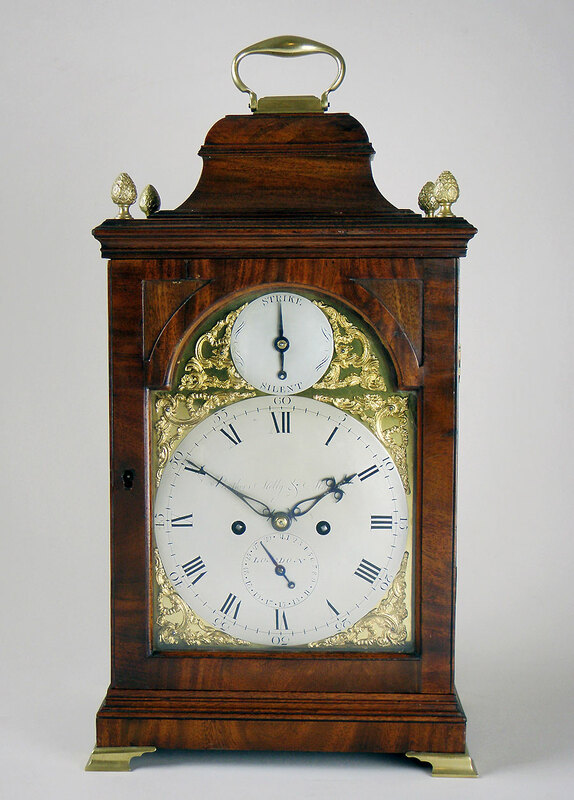 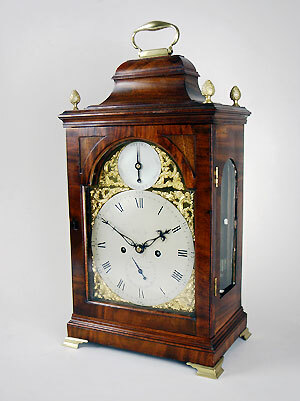 Mahogany bracket clock by Brothers Melly and Martin, London. 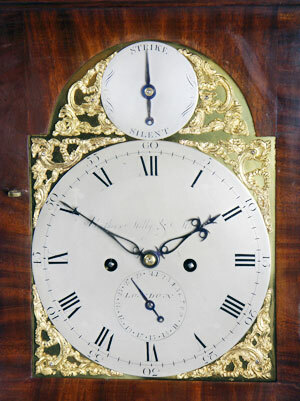 With a silvered brass chapter disk, a subsidiary strike/silent dial, and an eight day, five pillar movement. 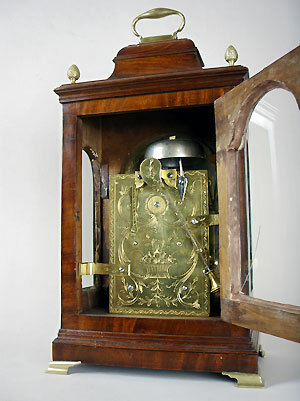 Has its original verge escapement, striking the hour and half-hour on a bell with repeat and a bell-top case.